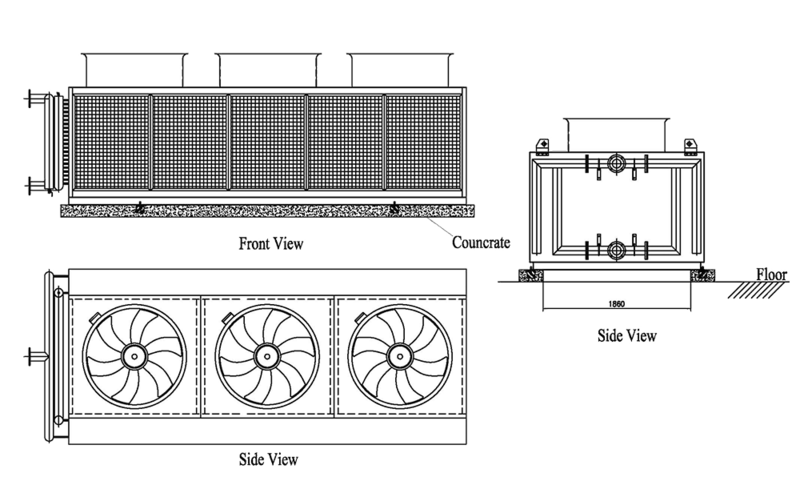 GKM Series Air Cooling Tower GKM Series have been developed since 2012, with a wide range of cooling capacities, and customized in most cases. The enclosure is made in Mg-Al-Zn alloy coated steel, or stainless steel optional. And the heat exchange coils is made in Copper Tube or stainless steel tubes fitted with aluminum or copper fins around the tubes. The fluid inlet and outlet are set on the same side, more convenient and economical for pipe lines installations. The overall dimensions can be tailor-made to suit standard 20’ or 40’ shipping containers in order to minimise freight costs. 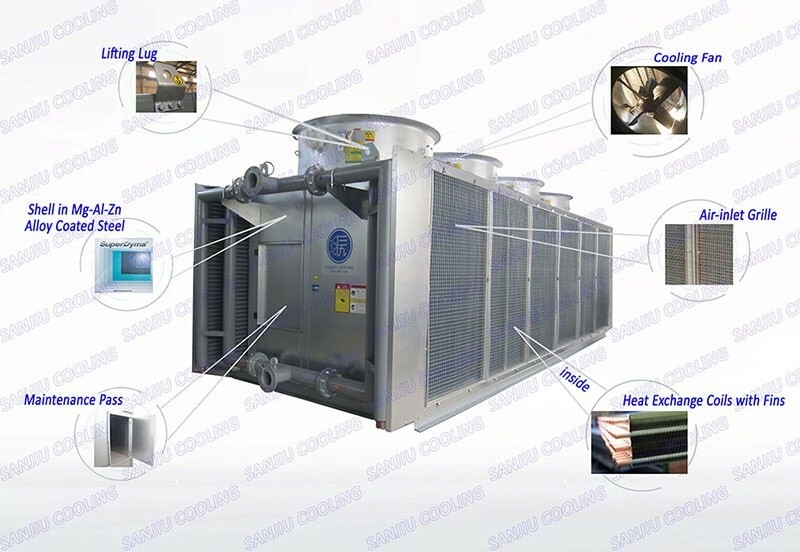 GKM Dry Cooling Towers are more suitable to cool inlet fluid of higher temperature, widely applied in circulating fluid (water, oil, gas) cooling for Air Compressors, Heaters, Furnace, and other machines in Gas Stations, Refinery Industries, etc. , especially in the area lack or short of water resources. 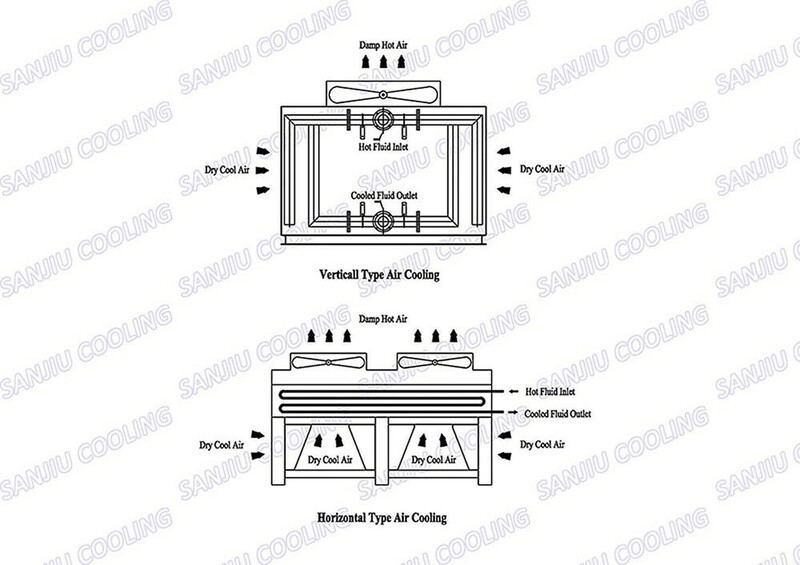 Product Description Air Compressor Machine Note: All the data is under the condition of 28℃ wet temperature. If any change of condition,the data will change. Contact us if you need more details on Air Compressor Machine. We are ready to answer your questions on packaging, logistics, certification or any other aspects about Air Cooling Tower、Cross Flow. If these products fail to match your need, please contact us and we would like to provide relevant information.